BZEE has been pioneering wind energy training since 2000. Today BZEE’s portfolio comprises a comprehensive competency-driven training programme for key wind energy assignments. The BZEE global training network delivers wind energy skills at 29 locations worldwide with a track record of more than 3000 highly qualified wind energy technicians. 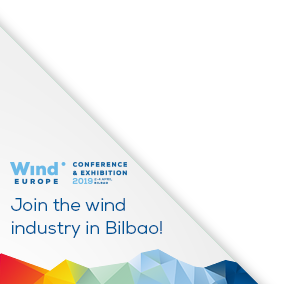 In today's complex energy market, Deutsche WindGuard is committed to providing extensive scientific, technical and operational services, which are unbiased and manufacturer-independent. WindGuard is one of the world's leading service providers. Services include: technical consultancy and due diligence, integral load assessment, project and contract specification, measurements, inspection, O&M concepts, safety training. Hytorc is dedicated to delivering the safest and simplest industrial bolting systems. With over 40 years of experience nearly every innovation in torque and tensioning systems has come from Hytorc. There is no bolting challenge that we cannot solve. Industrieel Klimmen B.V. supplies PPE PPE inspection and (GWO) training for work and rescue at height. Full indoor training centre in Amsterdam area. GWO Working at Heights GWO First Aid GWO Manual Handling GWO Fire Awareness Confined Spaces and other trainings. Bespoke design and manufacturing of certified lifting bags! Latchways Plc global leader in fall protection manufactures ManSafe® systems for all work at height requirements. Our range of systems designed specifically for both onshore and offshore wind turbines makes us ideal for protecting people as they go about day-to-day activities such as maintenance cleaning access and inspection. Ramboll offers all design and engineering services for offshore wind projects concerning foundation and substation design environmental impact assessments feasibility studies geo-technology turbine technology/loads test and commissioning and planning of O&M. We are 160 employees within offshore wind and are part of Ramboll Group employing 13000 experts in 35 countries. RoSch Industrieservice GmbH with headquarters in Lingen (Ems) is your competent wind energy partner. We offer repair service and maintenance service as well as electronic installation and mechanical assembling. Quality is our passion windpower is our path. You are right with us! Skylotec stands for maximum safety at heights. In the industrial field Skylotec is a leader in manufacturing professional protective equipment (PPE) and innovative products for fall protection. The comprehensive range includes everything that you need for PPE against falls from heights and for permanent fall protection: harnesses ropes carabiners descenders anchoring devices protective clothing and much more. WPO provides asset management and related specialist services for over 3GW of wind and solar energy generation sites in Europe. We currently operate across 9 countries through 27 offices and service points. We are the leading independent service provider in France, the UK, Ireland, Sweden & Luxembourg. The portfolio we cover has a capital value of €4bn, generating €750m of electricity sales annually. Our integrated service offering also includes technical due-diligence, asset inspections, testing, power purchase aggregation and insurance brokerage. Our clients are asset owners, investors, lenders and insurers.